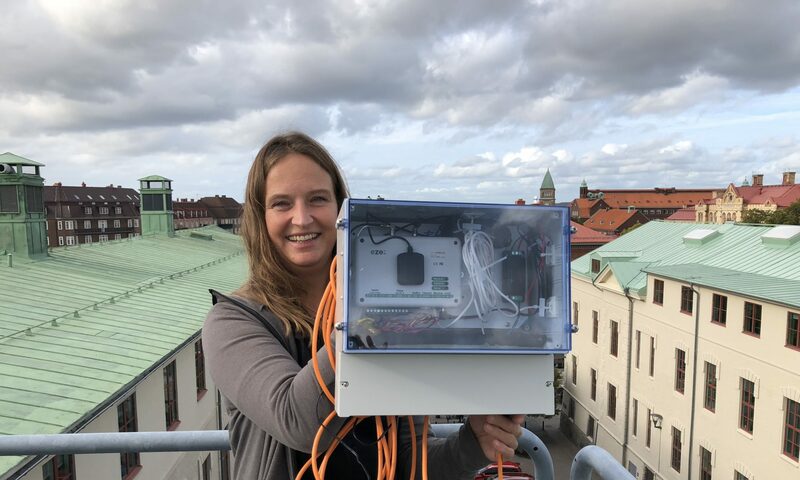 Better public health through cities’ air and water monitoring – with the help of sensors and Internet of Things-technology. That is what LoV-IoT is about. If you and I would be able to see the airs’ pollution levels in our city at any given time, what would that mean for our own activities and travels? Or if the city’s water treatment plants can be alerted to polluted storm water as it floods through the systems – what would that mean for their possibilities to contain the spread of pollution. In order to answer those questions we need sensors that are simple, numerous, cheap and easy to install. Something that LoV-IoT will supply. Are you a city or organisation fighting air- and water pollution? Become a LoV-IoT Smart City follower, APPLY HERE or book a meeting. loV-IoT is one of thirteen IoT projects in Sweden within the strategic innovation program IoT Sweden. Our mission is to be part of the national goal Being best at using digitalisation in society. Här är nyheten om resan till Chile. En delegation från Sverige åker till Santiago Chile för samverkan och kunskapsutbyte om miljöövervakning med IoT. Under programpunkten “Internet of things som motor för den smartare välfärden”, får besökarna möjlighet att bygga sina egna sensorer att ta med hem till sin hemkommun. Tidningen Ny Teknik uppmärksammar LoV-IoT som ett intressant projekt att följa. Under ITSMF’s galakväll på Münchenbryggeriet i Stockholm tog LoV-IoT emot priset. LoV-IoT håller i en workshop på Lindholmen under Vetenskapsfestivalen i Göteborg.